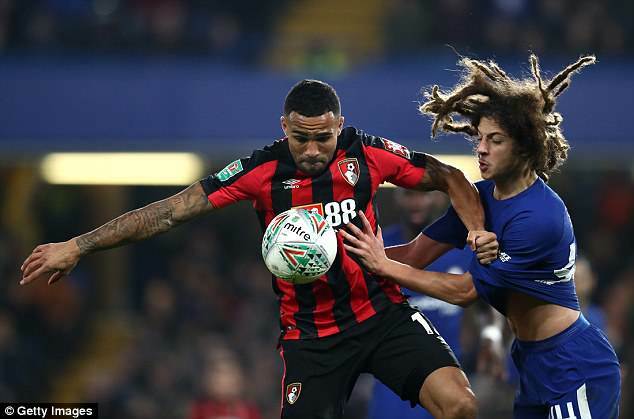 Exeter City have expressed their ‘disappointment’ after Chelsea were ordered to pay £2.5million to the League Two club for teenager Ethan Ampadu. Ampadu, already a Wales international aged 17, came through Exeter’s academy but moved to Stamford Bridge last summer. He has made seven appearances for the Chelsea senior team, including as a substitute in the 3-1 Premier League win over Huddersfield in December. As a youth player, the defensive midfielder’s transfer fee was set by a tribunal, with the ruling handed down on Friday. Chelsea pay Exeter an initial net fee of £850,000. They also pay £450,000 for the player signing a first professional contract, making five first-team appearances and obtaining a senior international cap. 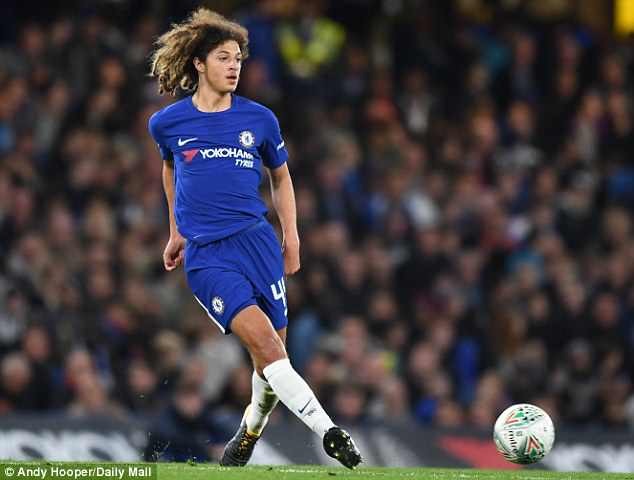 Exeter will receive further sums of £250,000 when Ampadu reaches 10, 20, 30, 40 and 50 first team appearances (substitute or starting) for Chelsea. Exeter will also get a 20 per cent sell-on fee should Ampadu leave Stamford Bridge. Exeter are already guaranteed £1.3m, with another £1.2m based on appearances made by Ampadu for Chelsea. They will also get 20 per cent of the sell-on fee if he leaves Stamford Bridge. However Grecians chairman Julian Tagg said the tribunal had massively undervalued Ampadu and the ruling ‘sends the wrong message’. He said: ‘Whilst the club recognise that the compensation fee is not a transfer fee, but instead to reward the club for its investment in the training and development of a proven outstanding player, and that the tribunal has awarded Exeter significant contingent sums, to say that we are disappointed is an understatement. ‘We are disappointed for our fans, our academy, which works so hard on producing talented young players like Ethan, and for our management and coaching team who bring these players into the first team and beyond as part of supporting the work of the Football Association in its objective to produce international players of the highest quality which we believe we have done. Ampadu became Exeter’s youngest ever player when he made his debut aged 15 years and 330 days. He went on to make 13 first team appearances. He has also made two senior appearances for Wales, in friendlies against France and Panama.